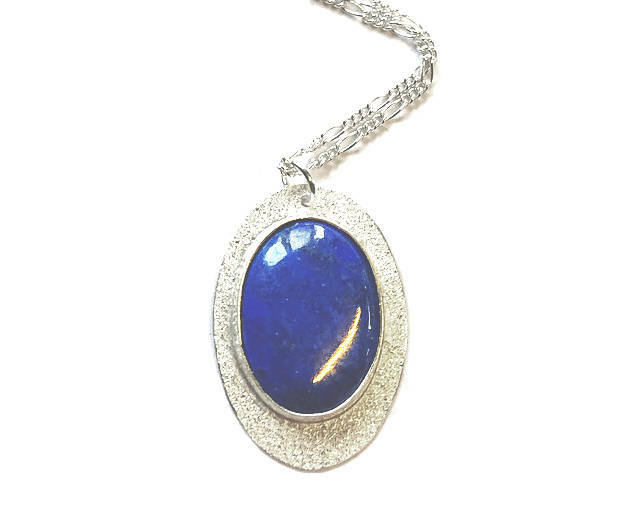 Classic design comprising of beautiful Lapis Lazuli stone set in Frosted Sterling Silver base. Chain Length 16" Pendant dimensions 32 x 26mm. 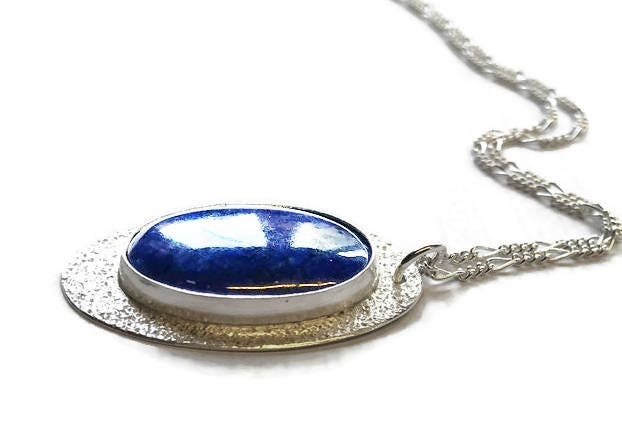 All pendants come with a 16" chain and are boxed.